We provide a MPS Validation service to ensure accurate and cost effective mailing. 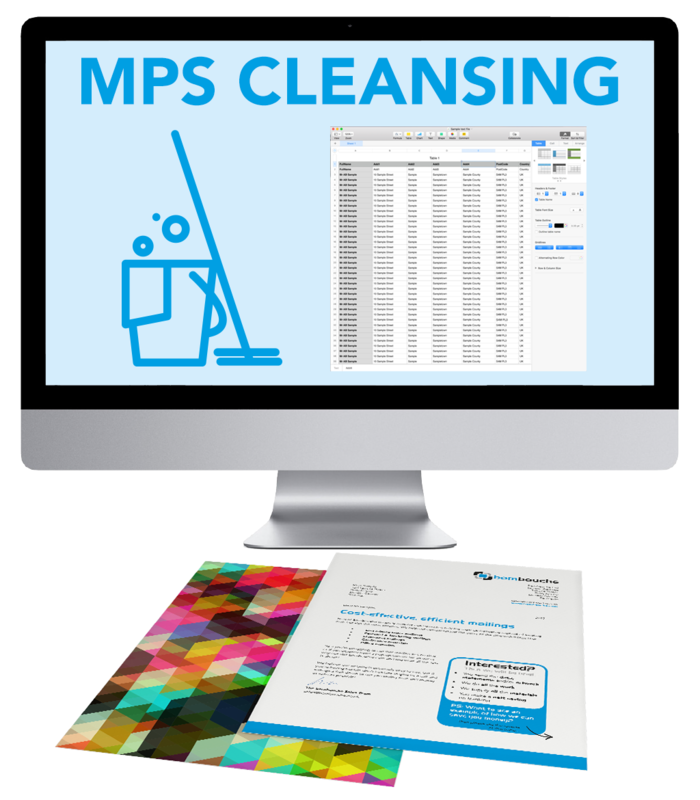 The MPS (Mailing Preference Service) is a data file of consumers who have registered their preference to not receive unsolicited material via mail. The MPS is enforced by both the DMA (Direct Marketing Association) Code of Practice and the British Codes of Advertising and Sales Promotion which is administered by the Advertising Standards Agency. All mailers should ensure that their databases are screened against the MPS before sending direct mail. Screening your data against the MPS eliminates the risk of damaging your brand and reputation which can be associated with sending unsolicited mail and it demonstrates you are a responsible marketer. It also reduces waste and saves money as mailings are only sent to those who want to receive it. Bombouche screen your database against the MPS file in order to ensure that those within that file will not receive any advertising mail from you. Effectively screening your database against the MPS also makes your data more compliant and your mailing efforts are less likely to receive complaints or suffer more severe consequences from administrative bodies.